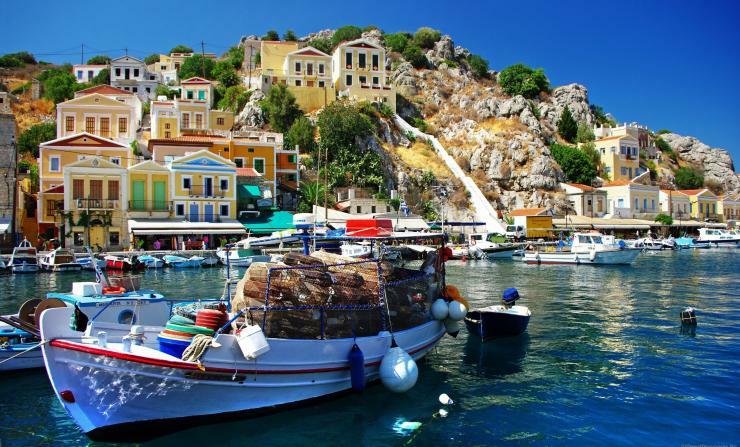 Attractions of Symi: The main attractions of Symi Island are the Monastery of Panormitis, famous for its miracles, the Archaeological and Folklore Museum of Symi and the Naval Museum. Visiting the ruins of the Knights’ castle on the hilltop overlooking Gialos is a must not only for the site but also for the panoramic views to the main harbour. Furthermore, the iconic war monument, carved on the side of a huge rock is probably one of the most photographed spots on the island as well as the most popular meeting point. When in Symi, the cobblestoned alleys with the countless steps will enchant you, making you want to explore them all. Every corner hides a new surprise, with awe-inspiring panoramic views and beautiful images. 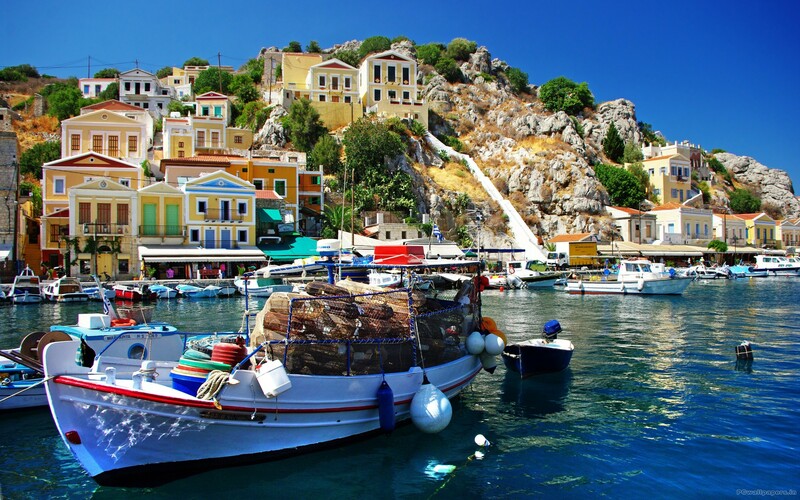 Try the tiny shrimp of Symi and the freshly caught fish and seafood. The Gialos promenade is delightful, the perfect place to buy authentic sea sponges. From Gialos, you can also board a taxi-boat that will take you to any of the secluded beaches of the island. Please be at the Bodrum Cruise Port one hour before the departure at the check in kiosk to take your boarding card. Your boarding card is your valid ticket for your day trip (return also). Please note: Children are considered from the age 6-12 (year of birth 2007-2013) and infants from 0-5 (year of birth 2014-2019). For someone traveling alone, they must be 18+ years old and own a valid passport. Otherwise, they must be accompanied by an adult.